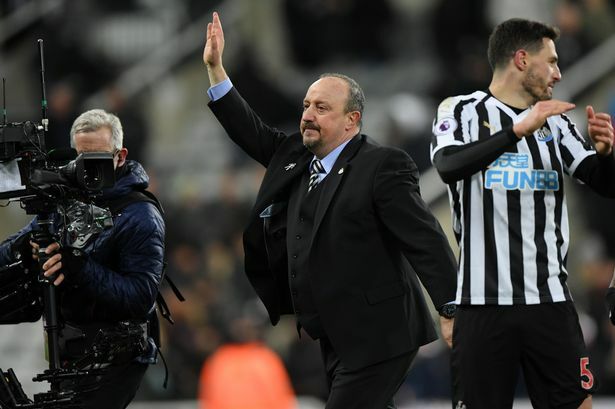 “No chance!” – Benitez sends strong message to everyone at NUFC ahead of final 10 games – NUFC blog – Newcastle United blog – NUFC Fixtures, News and Forum. Rafa Benitez has insisted that there is ‘no chance’ we can believe the job is done and that we are safe – despite huge back to back home wins over Huddersfield and Burnley over the last few days. These results may have taken us up to 13th, with us now 6 points above Cardiff in third bottom (practically 7 points when you factor in goal difference), but it’s clear that there’ll be no complacency from Rafa – and both players and us fans must follow suit. “If we are where we are now, it’s because we are focused on that and we have to do exactly the same. “We cannot think the job is done, no chance. “Obviously winning games, you have more confidence and then the pressure is different, but still we have to have the same idea: one game at a time, the next game is the most important. “We have to keep going – we can lose games, but we have to approach every game with the same mentality as Burnley. We may now be in touching distance of the top 10, with a win over West Ham at the weekend having the potential to see us leapfrog the likes of Bournemouth and move to within 2 points of the Hammers and Everton, but this should really only be on our mind once safety is secured. “I know my staff and from a long, long time ago we have always finished stronger at the end of the season. “Sometimes you can lose some games, but we finish stronger and I had confidence that we could do it. “If you remember last year, we were safe with five games to play and after, we lost four games and we won the last one, but we were already safe. It’s quite clear that we’ll stay up if we continue to play as we have done in recent weeks, but it doesn’t take much to lose form and lose games in this league if complacency sets in and you fall just 10 or 20% below your best – so safety needs to be on our minds before anyone starts thinking we’ll know waltz towards a top 10 finish. Let’s hope we can continue in the vein and extend our lead over the bottom three, with any surge up the table being nothing but an added bonus after seeing us spend most of the season low down the bottom half.